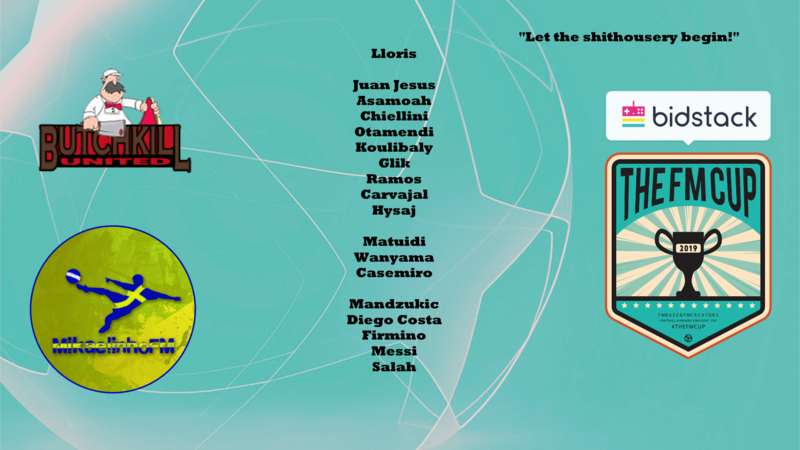 I am participating in the BidstackFM Cup, a competition between 32 FM19 content creators, bloggers, streamers and Youtubers, fighting for a total prize sum of £1000 in a Champions League format. 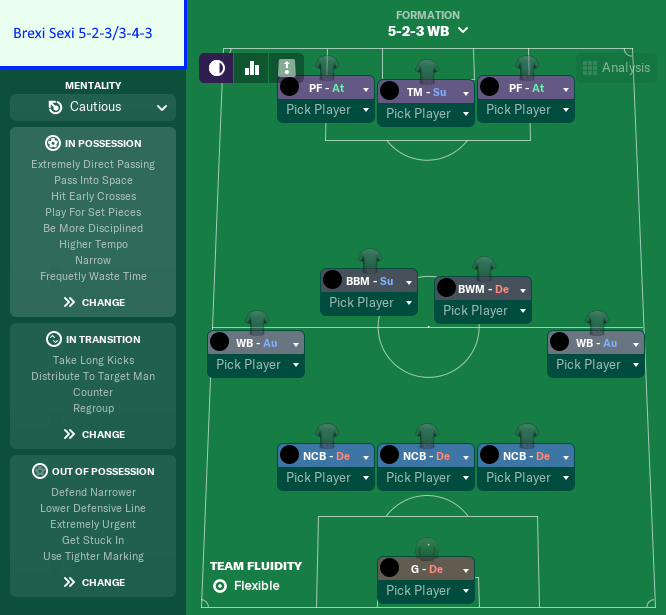 Here is my post revealing my squad, discussing my tactic and reviewing the group stage. After the success with Stockport I knew early on that I wanted to test the “Sexi Brexi” tactics against World-class opposition. With Marcus Allbäck busy with his Stockport job I needed to find someone familiar with this sort of playing style, with experience of football at the highest level and also someone equipped with hands firm enough to control a squad full of stars. Enter Angry Tony Pulis. Tony Pulis has in recent years managed Stoke, Crystal Palace and West Brom, employing a style of play not too far away from our revolutionary “Sexi Brexi” football. After being sacked from West Brom he has reinvented himself as Angry Tony Pulis, with a new fresh badly contained anger that we haven’t seen the likes of since the glory days of Nigel Pearson. My hopes are that if Angry Tony Pulis doesn’t manage to win over the squad by charm he might very well be able to scare the team to obedience. 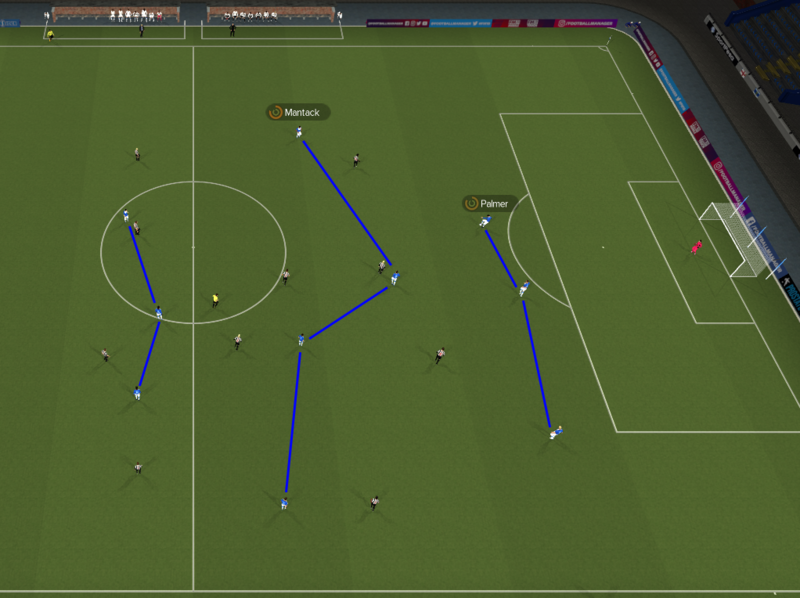 As I mentioned above, we are using the “Sexi Brexi” tactics used by Marcus Allbäck and his Stockport side in the lower Leagues of English football. To read a more in-depth description of the tactics click here. In short, this is a fairly straight-forward formation with 3 central players both up front and at the back. 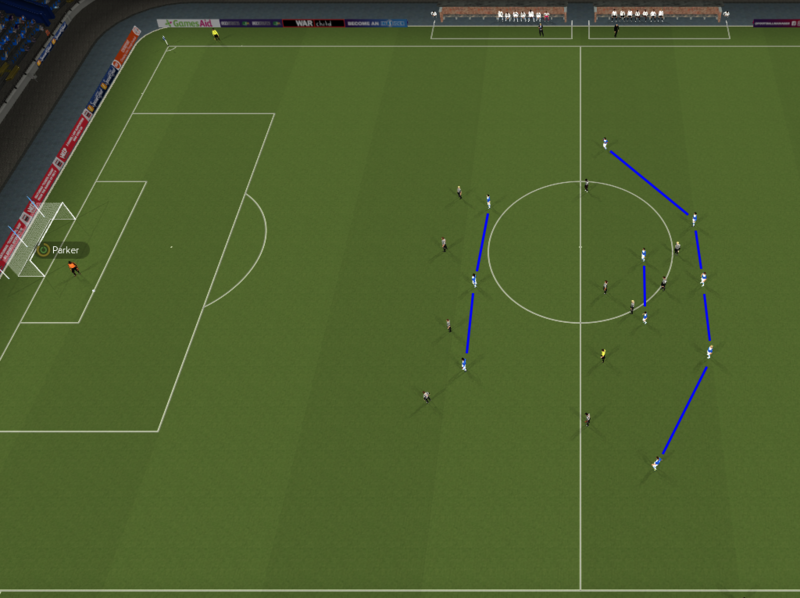 The wingers will work the wide corridors both in offence and defence, making the formation a 5-2-3 in defence and a 3-4-3 in offence. The key to our defensive plans (as well as the offensive) is to minimize risk. With 5 at the back we make sure that we’re basically never outnumbered and by dropping the defensive line as low as possible we rarely risk having balls sent over the heads of the back line. We press with a high intensity to win the ball back and attack as quickly as possible. Like in defence we want to minimize risk or “be effective” in offence. The aim is primarily to send the ball forward as quickly as possible, beating as many opposition players as possible while at the same time having as many of our own players on the defensive side of the ball at all times. 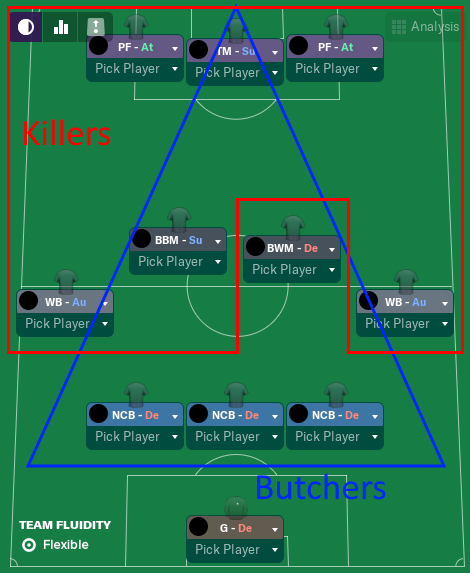 With the “Sexi Brexi” style of play we will also be using the “Butchers and Killers” approach when deciding what players to use in our squad. Butchers are sturdy and rock hard and like to crash and smash stuff. The killers, or assassins if you wish, are a bit more precise and distinct in their trade. Let’s not focus on the differences though. Let’s focus on the common denominators. Therefore, Angry Tony Pulis created a rating system to help him select his squad. 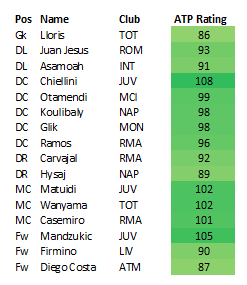 The intricate “Angry Tony Pulis Rating” or ATP Rating is made up of the stats listed above added together, providing a number between 6 (weakling) and 120 (beast). This provided Angry Tony Pulis with a list of suitable players for his shithou…I mean effective football. The player most suitable and first to be chosen was Chiellini from Juventus and right behind him where forward powerhouse Mandzukic and midfield wonder trio Matuidi, Wanyama and Casemiro. Angry Tony Pulis was extremely satisfied with the squad he had put together. When the 14 players he had picked arrived at the pre-tournament training camp Angry Tony Pulis noticed two extra players standing with the group. He immediately approached the tall curly haired one and asked what the hell he was doing there. He simply smiled and said “Hello mister! My name is Mohammed but you can call me Mo. I came along with Roberto, he said that you wouldn’t mind”. Wouldn’t mind? Wouldn’t mind! Angry Tony Pulis absolutely hated surprises and wanted to punch something or someone. He turned around and started walking back towards the locker rooms in hopes of finding a youth player to headbutt or a janitor to scream at. He ignored the small boyish player with the odd nickname. He just hoped that he was called “Messy” by the others because of his dirty playing style. He had low expectations though. The two of them certainly didn’t look like footballers, they looked more like a pair of bad comedians. Above you can see the final squad for the “Butchkill United” team. Angry Tony Pulis and his band of Shithouses (plus Messi and Salah…) were faced with 3 really tough opponents to play in doubleheaders. First out was CaptainGoodspeed and his team Cpt Goodspeed FM FC. After a decent start with 4 points in the first two games the team faced Scottish streamer Macbearded and his Beardie FC. After two really emphatic wins we were almost set for promotion going into the final two games against KevMC1982 and his KevMc’s Spice Boys. We looked solid in these two games as well, claiming two more wins. CaptainGoodspeed was cheering me on, since an aggregate win with 6 goals would have seen him go through. Now instead I took KevMc with me into the knockout stage. Since we won our group we were seeded going into the draw for the knockout stage. We got Scottish YouTuber RampantFM in the first round which will most likely be a tough challenge, but Angry Tony Pulis isn’t afraid of anyone. He simply wants to win every game and hurt a few opponents along the way!